As a reward for our players posting 50 Steam reviews about the game, we shared a bit of Knee Deep fiction by the game’s lead writer, Wes Platt. 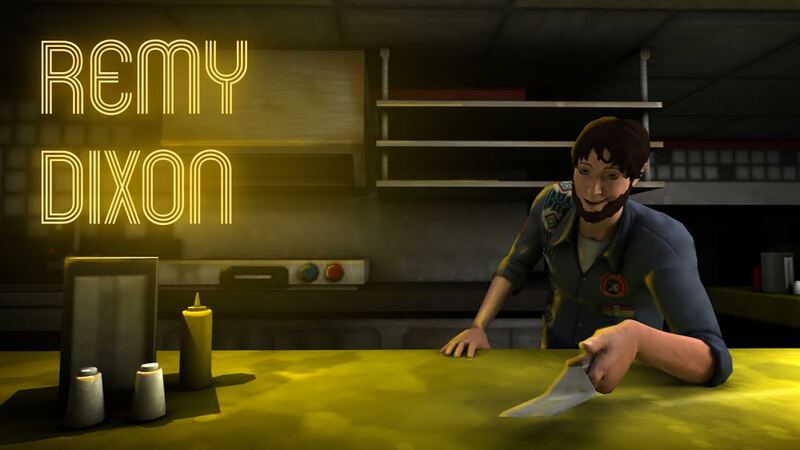 The next official fiction piece will be released after we hit 75 reviews on Steam. Enjoy! I’m developing a recipe for hickory-smoked salted head cheese. Sounds tasty, yeah? You know it! I think this would help shake up our rather mundane menu – a nice change of pace from the usual Scout Burgers and Dervish Dogs. We’d probably get coverage on one of the big food networks or maybe a write-up in the Cypress Knee Notice. How’s that sound? NO. AND YOU’RE NOT ASSISTANT MANAGER OF ANYTHING EXCEPT HEADACHES. Maybe candy-coated anchovies? A treat for children of all ages! PUT THE CHOMPER BACK ON THE SHELF. IDIOT. I’d like to suggest dollar-movie days in the old Digital Smoke arcade at the base of the Wonderland tower. We could show classic movies from my DVD collection. I’ve got both Clerks movies, Pineapple Express, and Requiem for a Dream. We’d pull in movie buffs from miles around! Curious to hear your viewpoint. I’m disappointed by the swift dismissal of my ideas. What gives? I just want to do my part to bring more visibility and notoriety to our little gem along Interstate 95. Sad to think you don’t share my enthusiasm for the future of Chief Roadside’s Wonderland. Now, what if we host trivia night at Hungry Chief’s every other Thursday? Undoubtedly devoted to the cause. I WAITED. ANSWER’S STILL NO. ASSHAT.